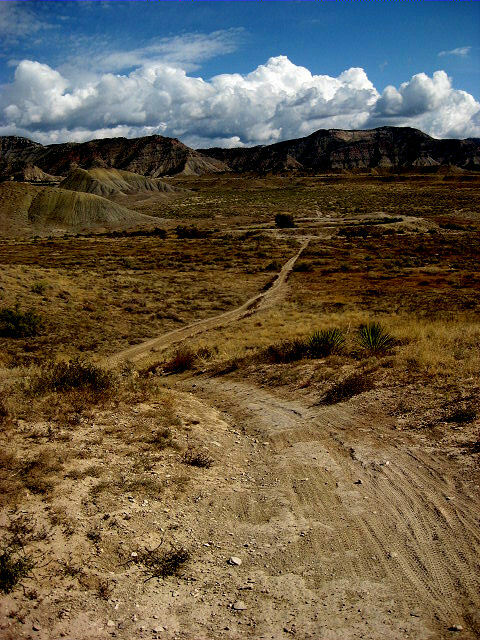 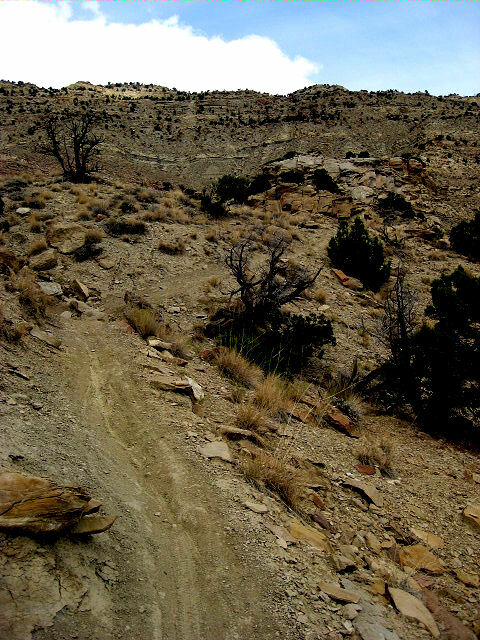 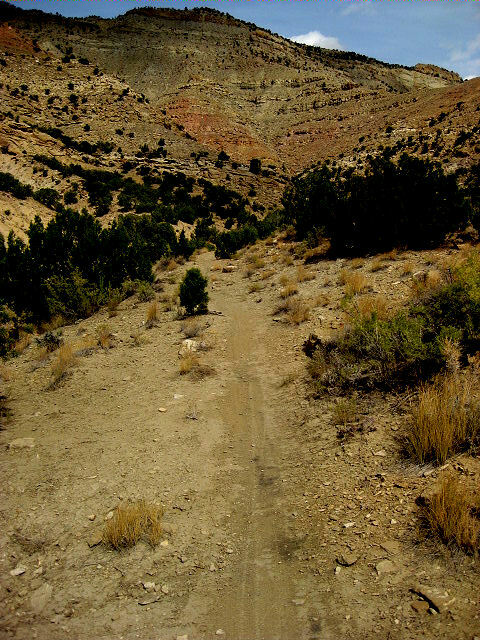 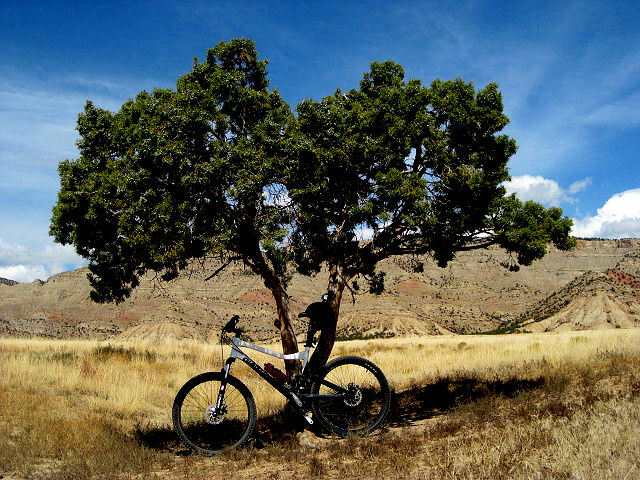 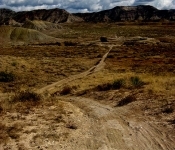 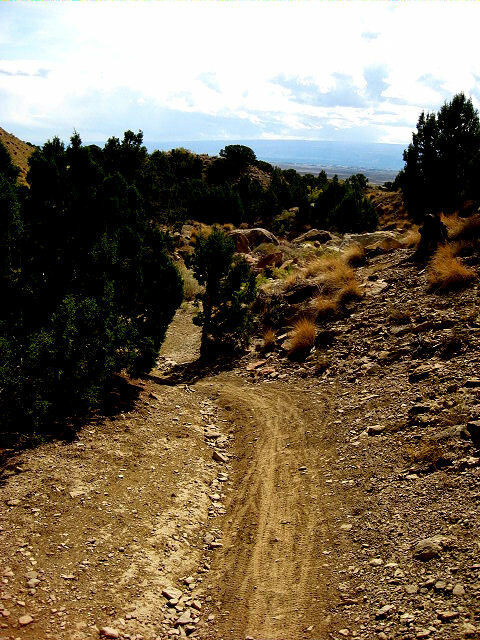 18 Road in Fruita is home to what some say the best trails in Colorado, and I had heard a lot about Chutes & Ladders and Zippety Doo Daa, and after my fantastic ride in the Kokopelli’s Area, I was really looking forward to this ride. 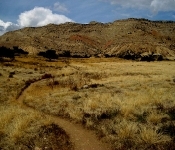 But, was it be as good as the Kokopelli’s? 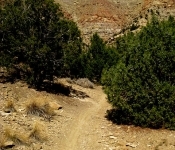 [ Chutes & Ladders ] This trail has some great singletrack riding; one of the better rides in the Book Cliffs area. 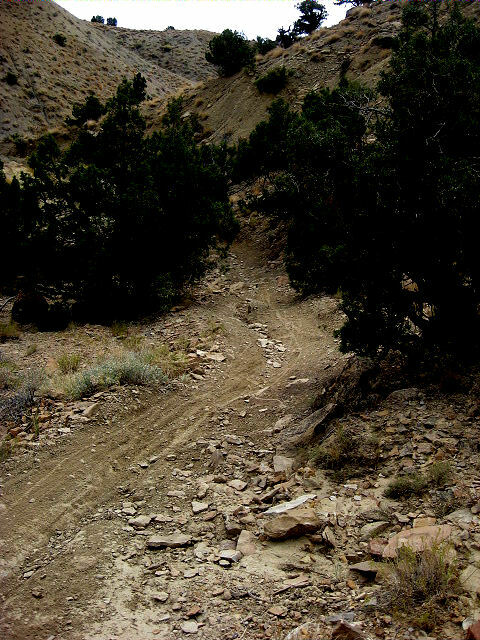 The fun factor on this ride is very high. 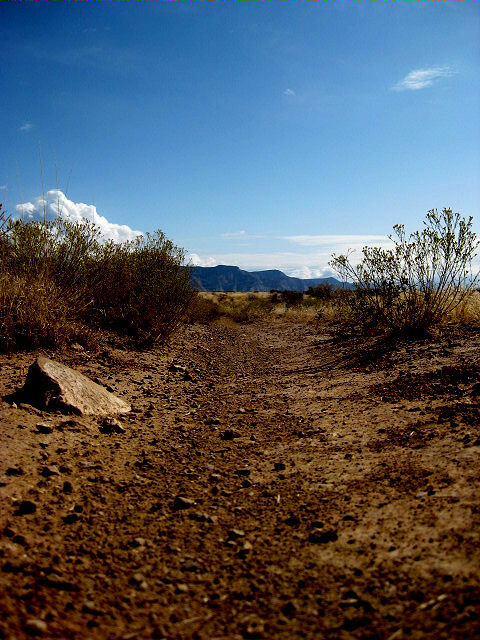 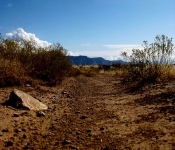 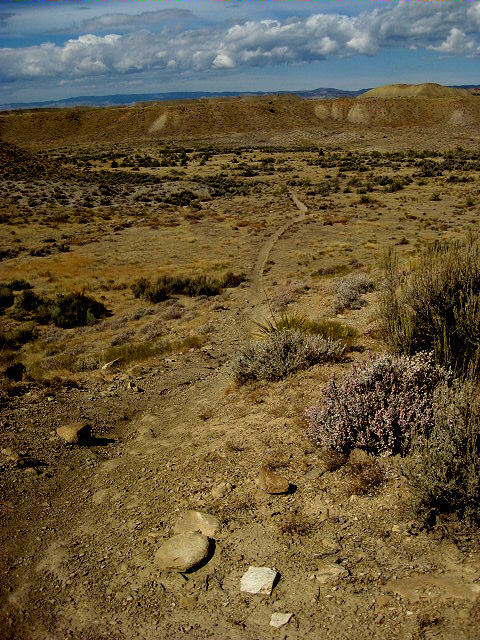 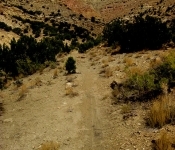 The trail traverses along the lower part of the Book Cliffs and follows a wandering line in and out of several dry washes. 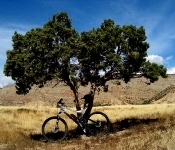 Do this ride. 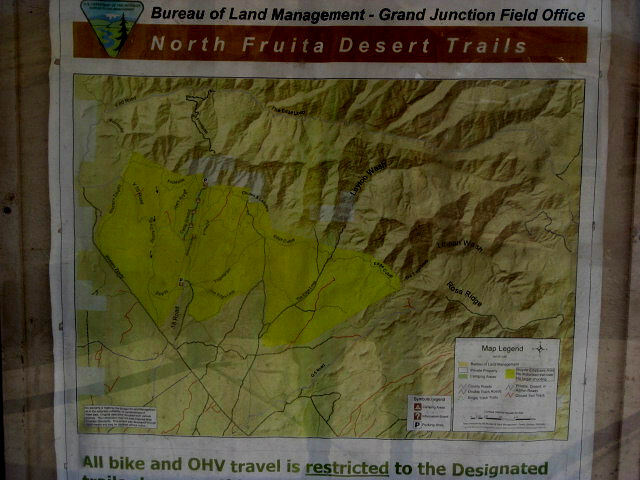 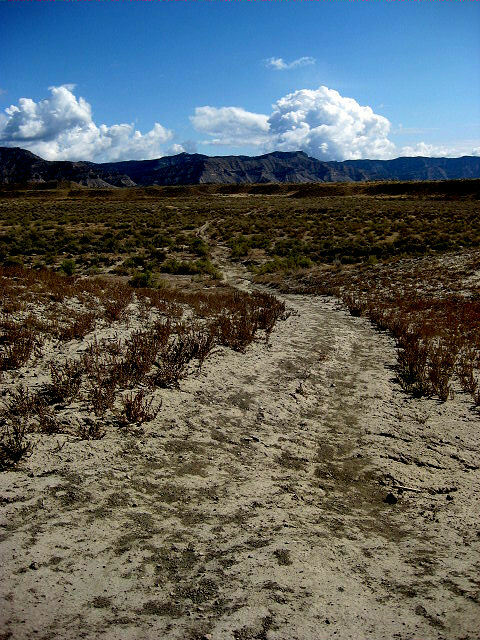 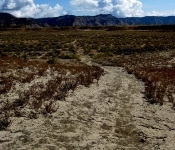 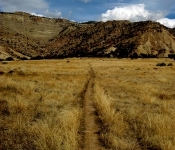 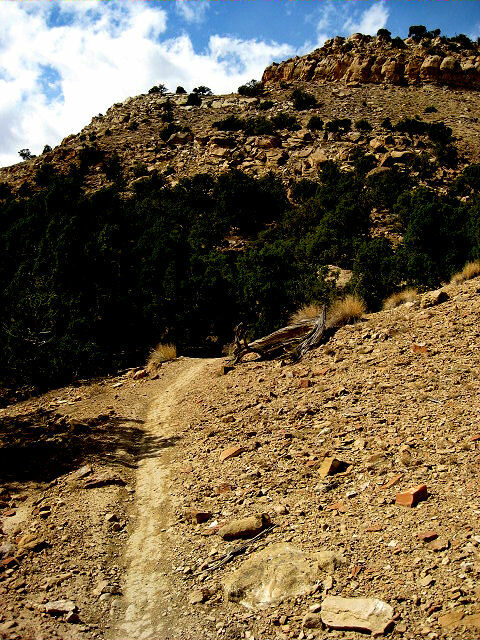 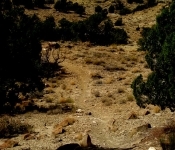 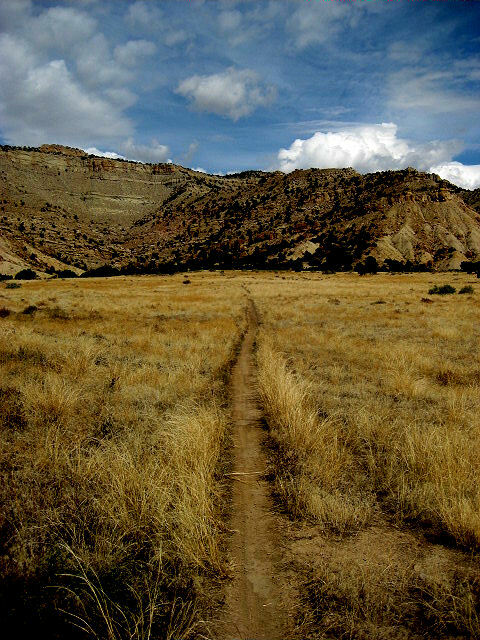 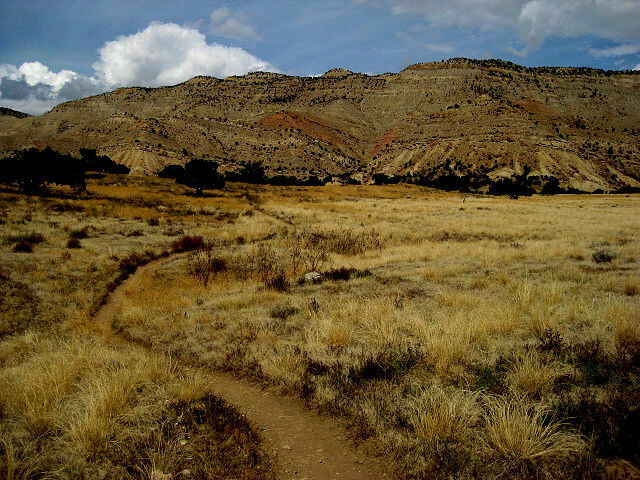 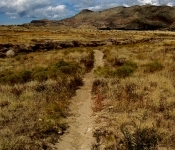 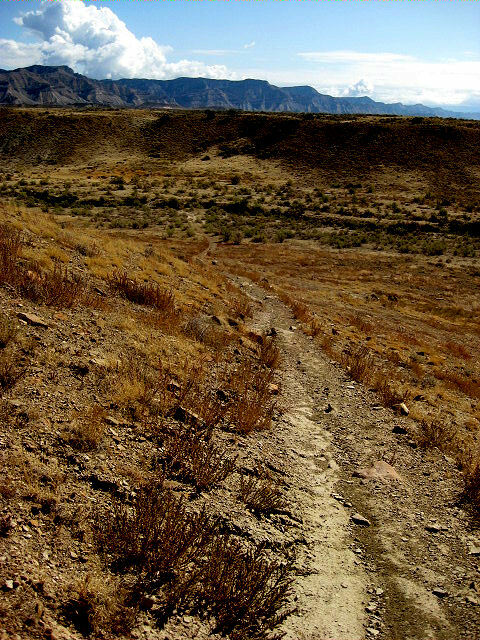 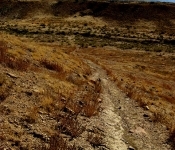 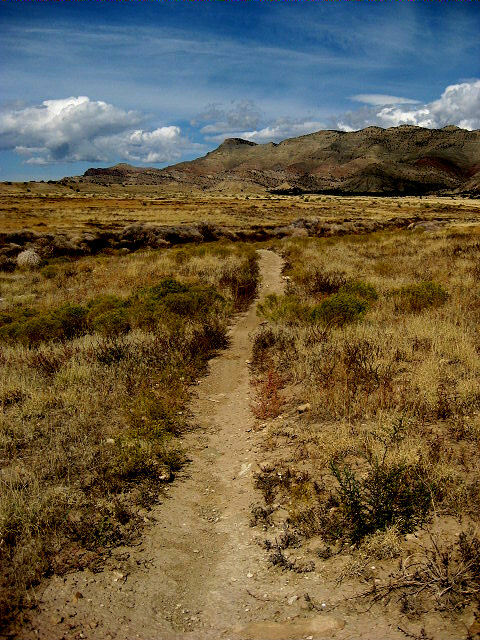 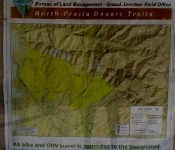 This trail is located 8 miles north of Fruita. 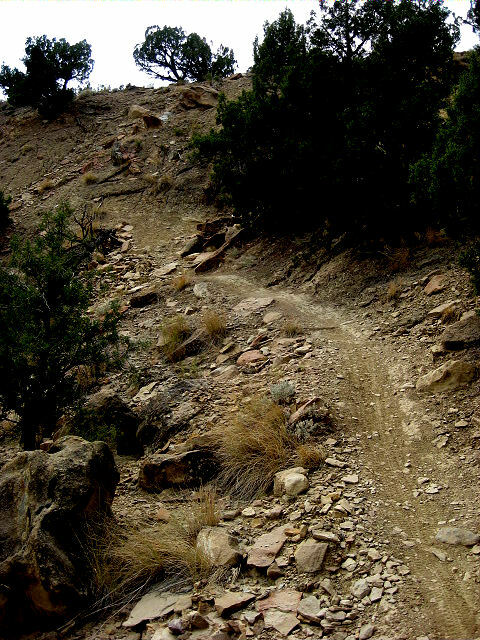 [ Zippety Doo Daa ] Steep downhills, excellent singletrack, and some very technical sections add up to make this one of the best expert rides in the area. 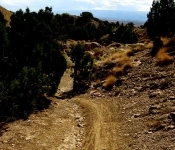 The downhill sections will test the skills of most cyclists. 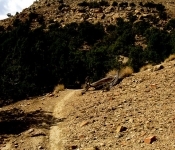 After 20 min. 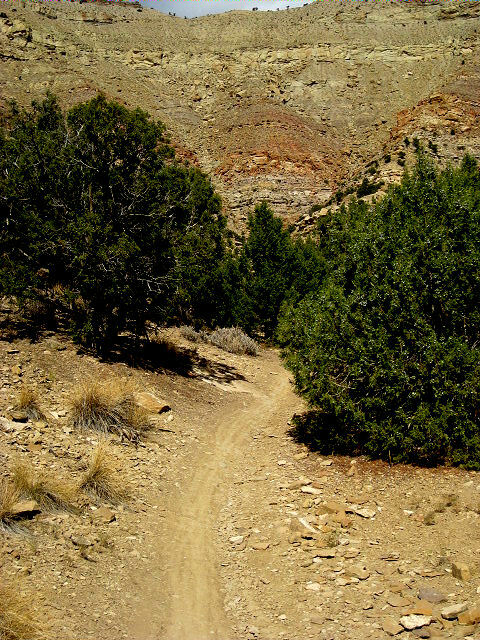 of riding, I started to wonder what all the fuss was about, the ride I was on was flat easy and pretty uneventful, but that soon changed for the better… Lots better!! 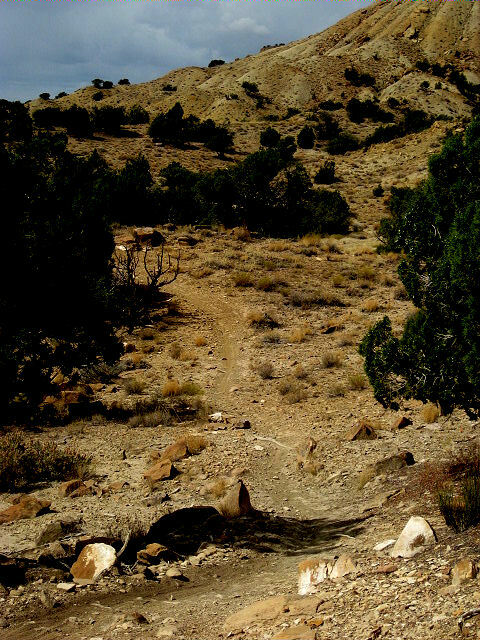 From the Trailhead the first part of the ride ( Perimeter to Chutes & Ladders ) is pretty flat and uneventful, but halfway up Chutes & Ladders, the ride becomes a hell of a lot better and more technical.. nothing too serious yet, but there were some pretty demanding and fast sections. 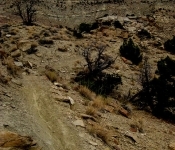 Kessel Rim [down] was a hell of a fast and fun section, and definitely worth the run, only minor downside is, that you somehow have to make your way back up to the top section of the trails, because without any doubt, Zippety Doo Daa is the “Piece de Resistence” . 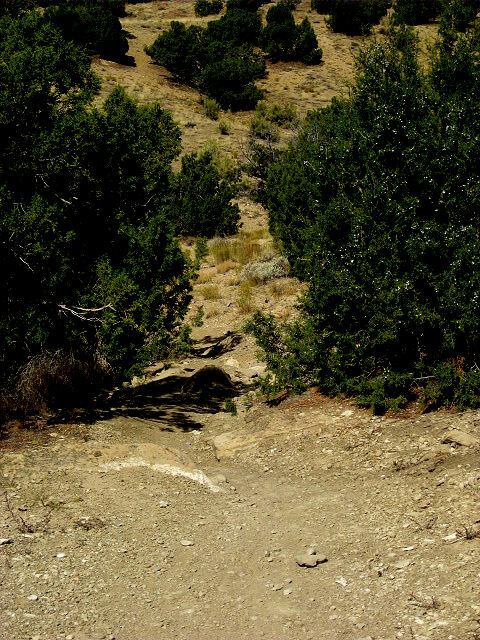 Zippety Doo Daa is a just a mental trail, that will have you laughing and shitting yourself at the same time. 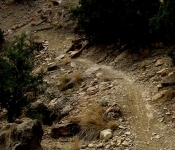 Do not attempt ZDD if you do not like heights and / or very narrow track with a hell of a penalty for any errors. 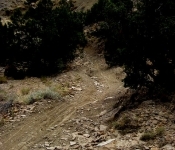 Certain section of ZDD are easily 75 degree’s downhill, go too slow and you are off, go too fast and you are off!! 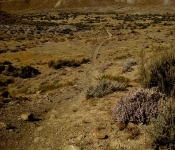 one thing is certain, once you are safely at the end of ZDD, all you want is ONE thing, and that is to do it again!! 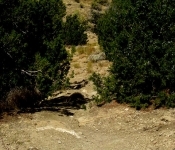 Other : There are two parking lots used for these trails, the lower and the upper, I preferred the lower because you can end the ride on a “high” coming down the Zippety Doo Daa , otherwise you will have to cycle back to the top parking lot.